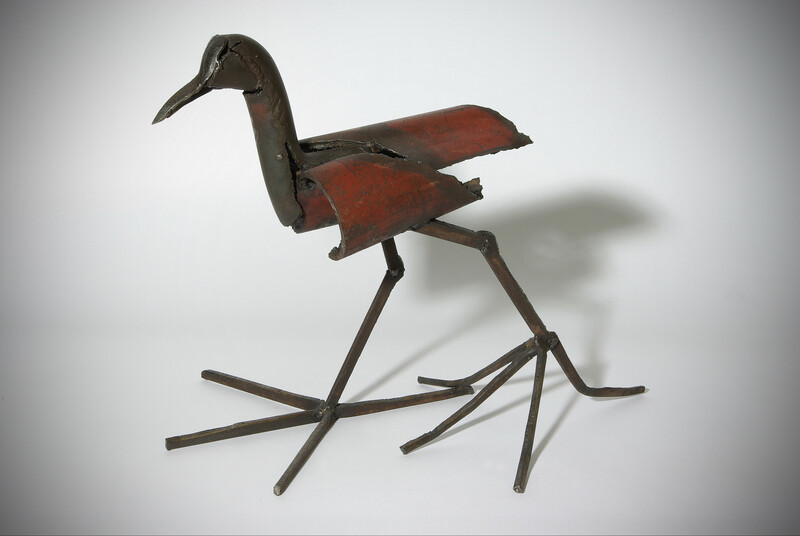 Welcome to ARK, an exhibition of welded steel sculptures by the artist Iain Nutting. 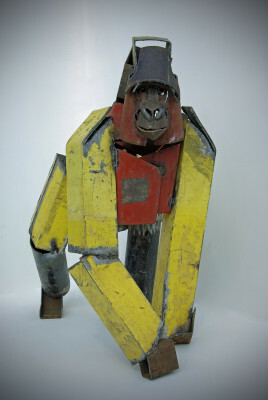 Born in the 1960's, Iain's passion for art and conservation began as a child and has been a theme throughout his life. Iain was first introduced to the idea of conservation by his primary school teacher. The awareness of how expanding populations of people were destroying rainforests and the natural habitat of animals was something that Iain recalls finding both interesting and at the same time disturbing. It was also at primary school that Iain's artistic roots can be seen, where from a young age he produced paintings and harboured the ambition to become a successful artist. 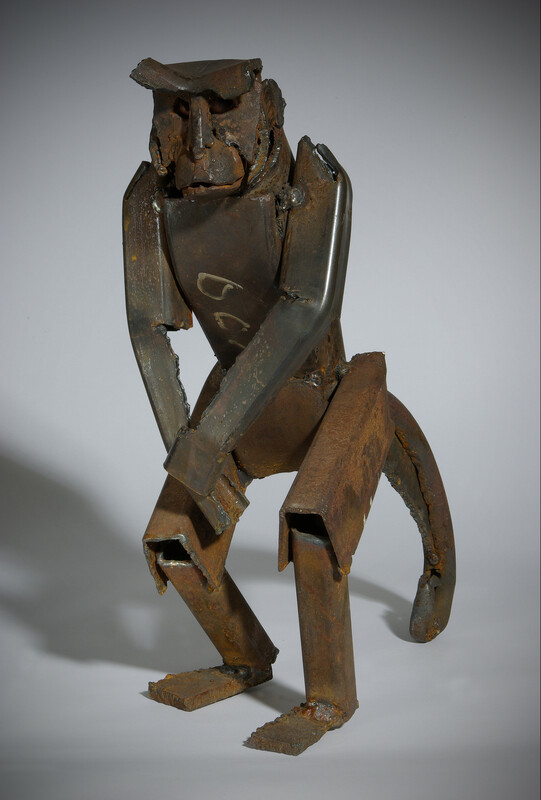 Iain was in his mid-teens when he decided he wanted to make sculpture his main vehicle of expression, and began to weld together small pieces of metal. Here Iain tried to emulate pieces of sculpture he had seen in books and occasional visits to the Tate, especially the work of Gonzalez, Picasso's welded constructions, and the work of early Russian constructivists. After leaving school Iain completed a foundation course at the Canterbury College of Art and went on to study sculpture at St. Martins School of Art (1981-1983) It was while at St. Martins that the themes of art, nature and conservation really started to overlap and become a focal point in Iain's life and work. Studying in the centre of London, Nutting found the pressure of being in such an intensely crowded and enclosed environment difficult at times and often felt a need to escape. To do so he sought refuge in the open spaces and contact with nature offered by London's city parks. Here Iain's ideas about art and nature really began to gel, and he began to make sculptures which linked him to the environment. The first were of birds drawn at St James' Park. After graduating Iain used his carving, modelling, welding and casting skills to secure a position as a conservation technician at the Tate Gallery, and later as an assistant to the sculptor Anthony Gormley. 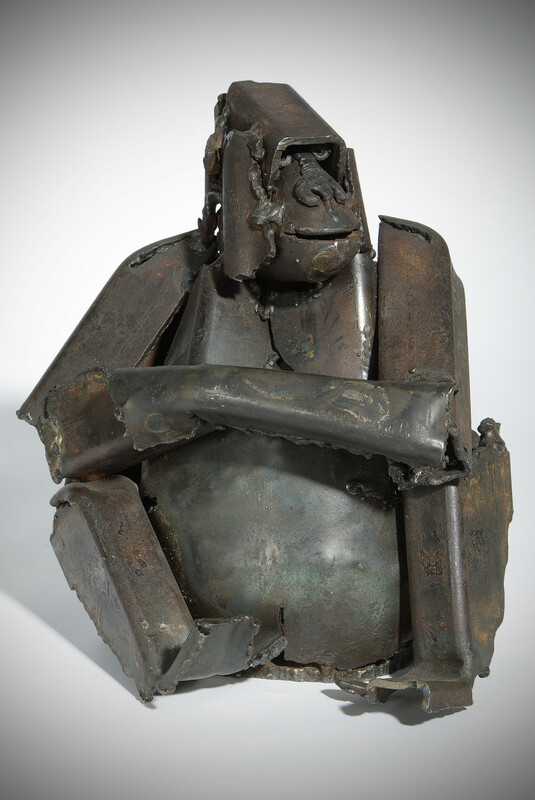 During the 90's he also worked freelance for Taylor Pearce, a sculpture restoration firm in London. Working with such prestigious individuals and organizations had an important impact on Iain's development and the focus of his own sculpture. Working with Anthony Gormley, Iain was afforded the invaluable experience of working alongside a successful professional sculptor. With the Tate Gallery and Taylor Pearce, Iain was able to observe, handle and examine at close quarters a great variety of the world's finest works of art - including pieces from Africa, and many highly valued pieces of 19th and 20th century European and American art. He was also involved in exhibitions at the Royal Academy, as well as working on the Royal collection, restoration projects at Windsor Castle, for the V&A, the Palace of Westminster and Lincoln Cathedral. The opportunity to work at Lincoln Cathedral was of particular influence on Iain; observing medieval carvings of Noah's Ark, a feature of the Cathedrals west front, impressed upon Iain how animals have been a focus of art for thousands of years - testament to their importance throughout time and across cultures. A theme he returns to again in this show. The experiences Iain gained in the art and restoration field in the 1990's were invaluable. They have given him an intimate knowledge of art and a lifelong passion for both art and nature conservation. However, Iain's first commitment has always been the production of his own sculpture which has continued to evolve since his graduation from St. Martins. Nutting was encouraged in the early years by the philanthropist Keith (Toby) Bromley d.2003, and Iain has had regular exhibitions of his work including showings at the RA Summer Show, art galleries and regular attendance at prestigious art fairs, such as Art London. Iain's work has always sold well and attracted many commissions but it is in the last decade that Iain has gone on to attain increasing success as a professional artist. 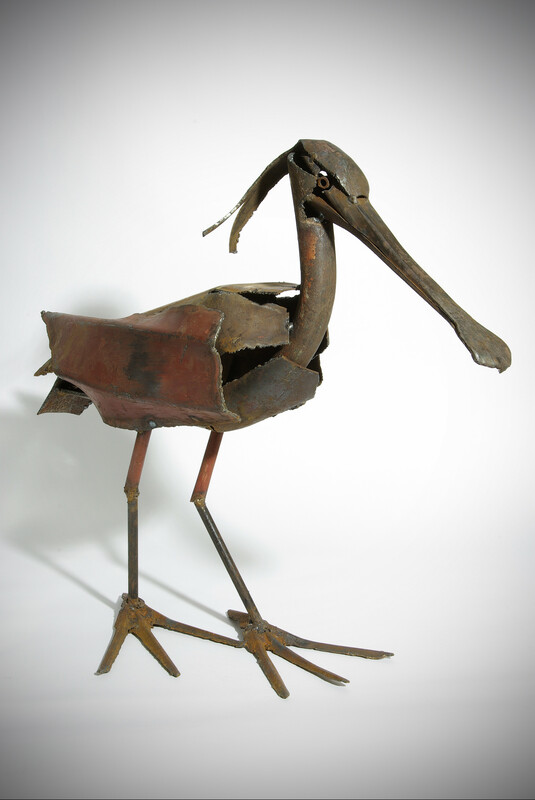 To date Iain's sculpture has sold and is now collected across Britain, Europe, and the USA. 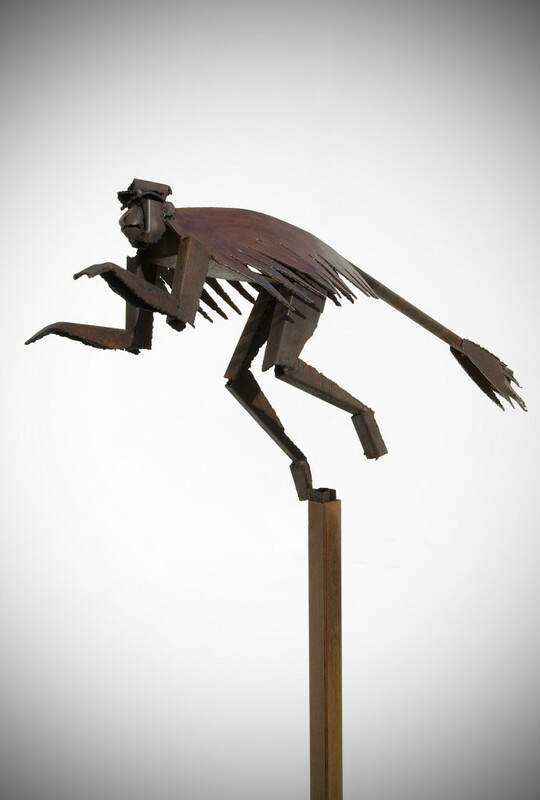 2010 saw Iain's sculpture exhibited in Australia for the first time. His work can be seen in the public collection of Leicestershire Council, Worthing Hospital and London and Quadrant Housing and following a recent commission Nutting installed a number of his latest works into a prestigious new office development on Bishopsgate, London. An ark can be defined as something that brings together things or objects of importance and offers them protection. 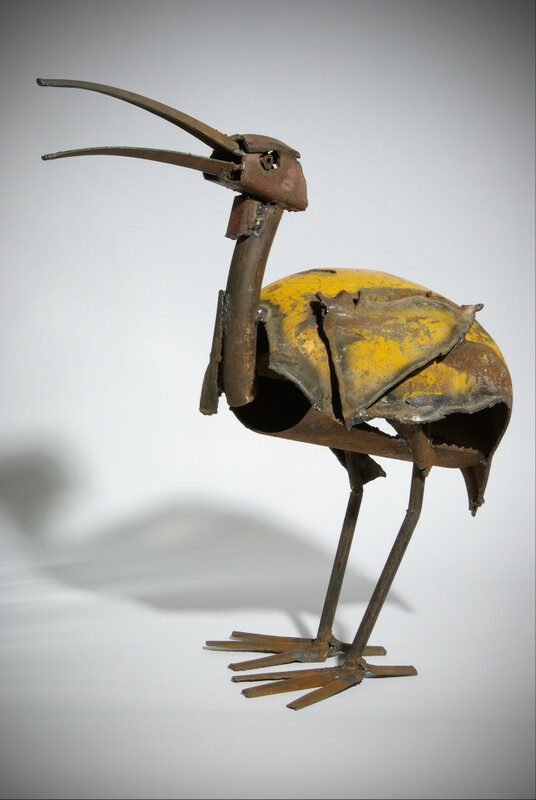 In Iain's show the objects of importance are nature, and the artistic influences that have shaped his work. 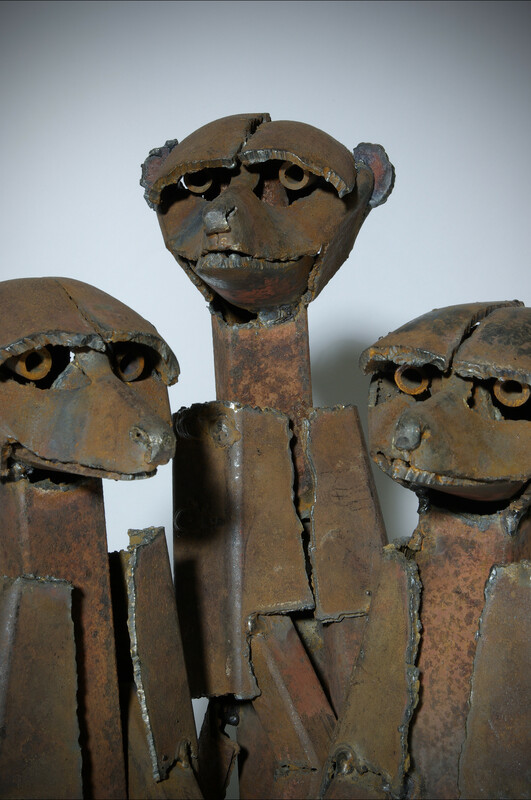 Animals are the focus of the show, reflecting the importance of protecting our own links with the natural world and the endangered species which live within it.